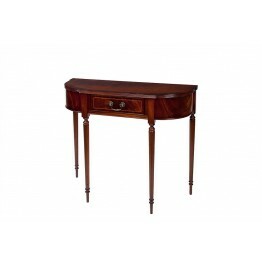 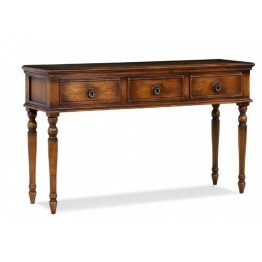 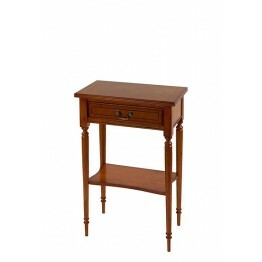 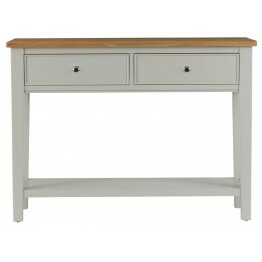 This is a 2 Drawer Console Table made by Charltons Furniture in the Bretagne collection - B316Wi.. 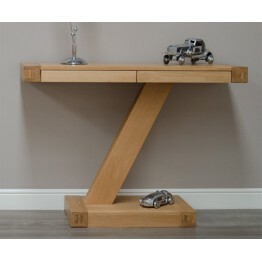 This is the Somerdale Console Hall Table made by Charltons Furniture - Model SO305This table has..
A console table with a difference that carries the Z motif on the external legs, and has handy usefu.. 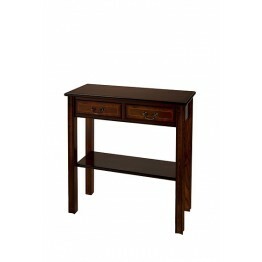 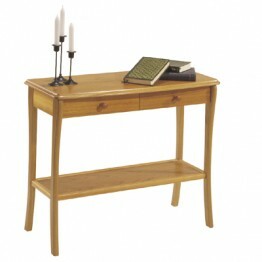 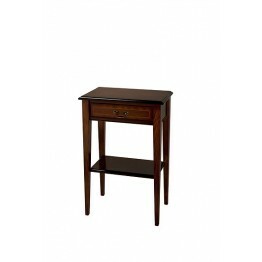 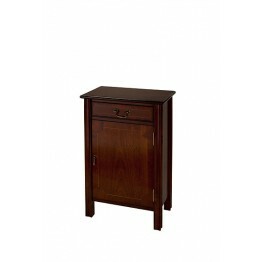 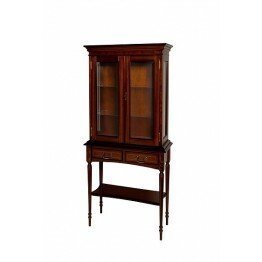 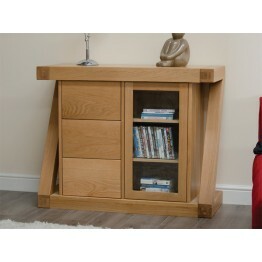 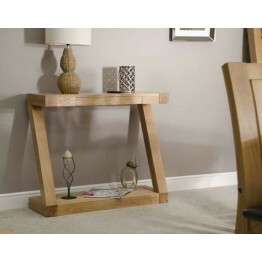 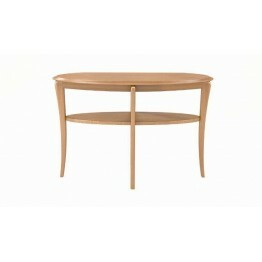 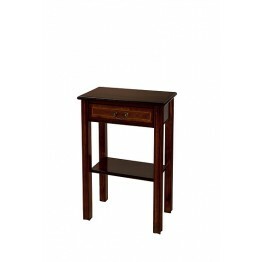 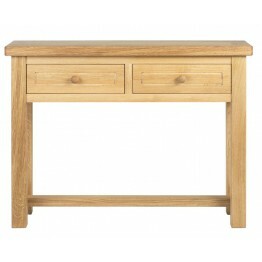 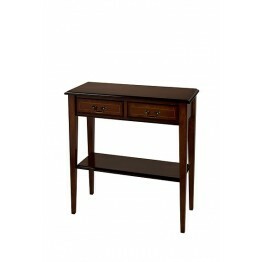 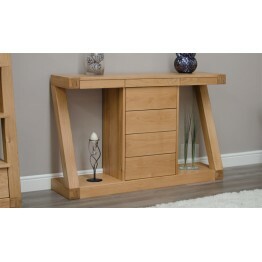 This hall table has a chunky thick top with a slimline drawer and stands on the signature Z design l.. 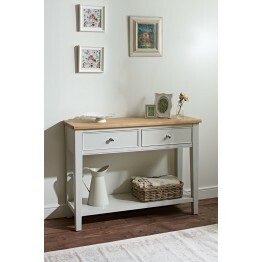 The Z motif is clearly on show with the modern console table. 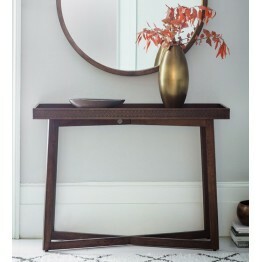 Whether positioned in a hallway, loung.. 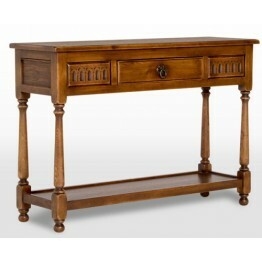 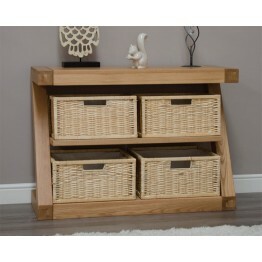 This is a wide console table with drawers below that could be used in made areas of the home for man.. 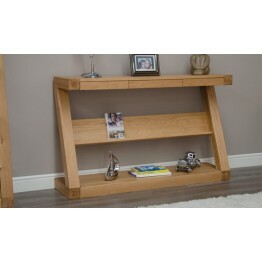 This is a wide console table with a shelf that could be used in made areas of the home for many thin.. 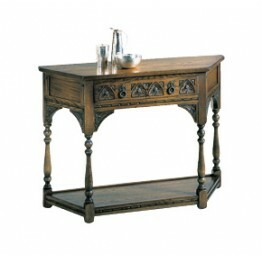 This canted console table features our hand carved cactus flower motifs, turned column legs and a lo..
A console table with drawers at the top and a shelf below, this is made by Old Charm furniture and i.. 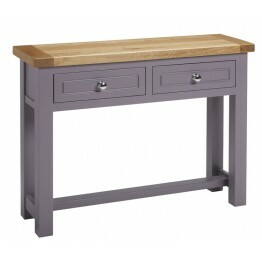 This is a three drawer servery table which features three drawers with ring handles and stands on lo..
951 Sutcliffe Trafalgar Ellipse Console Table. 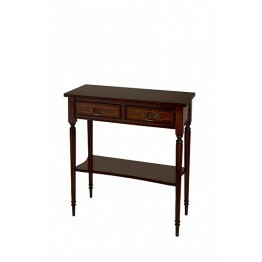 Rear edge is staight so the table sits flat against t..
An ebony colour Console table with a Frett work design around the edges, there is a great design.. 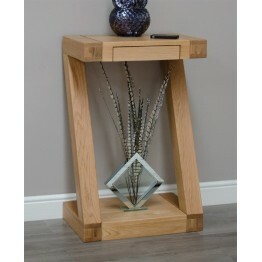 This is a crossed legs console table with a tray top design, that has a carved looking edge all ..